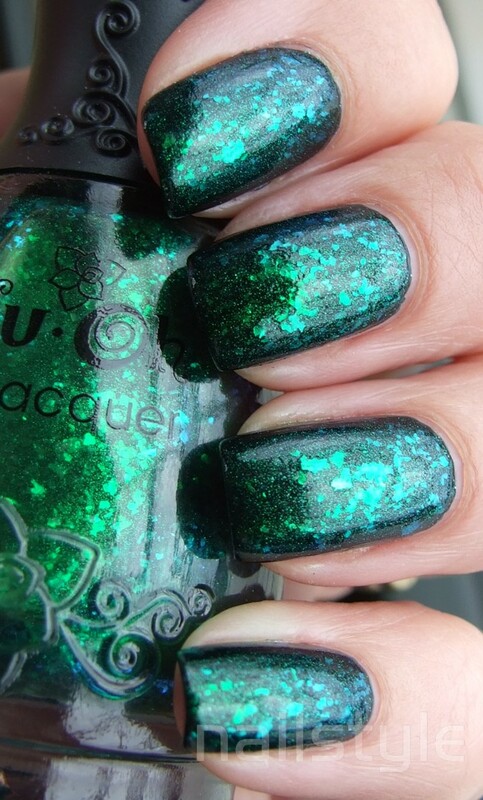 Nailstyle: Nfu Oh 56 - Oh how green you are! Ohhh what a beauty this polish is. I love green on a good day so this is just amazing all round! This is layered over Cult Nails Living Water. 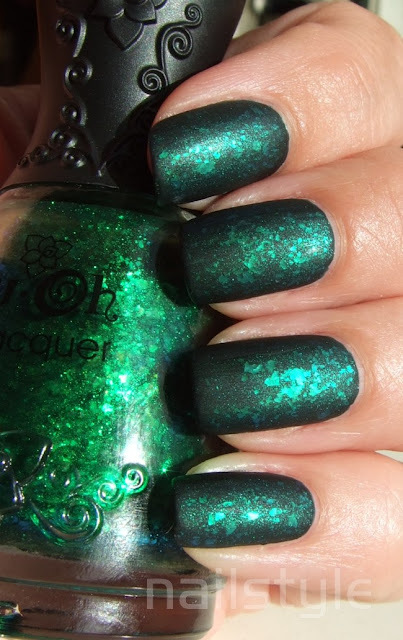 Nfu Oh 56 is the most gorgeous green and blue flakies in a green gel. I love the way that in different lights it looks definitely green then changes to peacock blue - amazing! It dries quickly and the pictures show it topped with Essie Good to Go and then with Essie Matte About You. I like it Matte - how about you? I think it's awesome too. :) It didn't dry quickly on my nails though. Oh how I love this green! It's on my wish list! 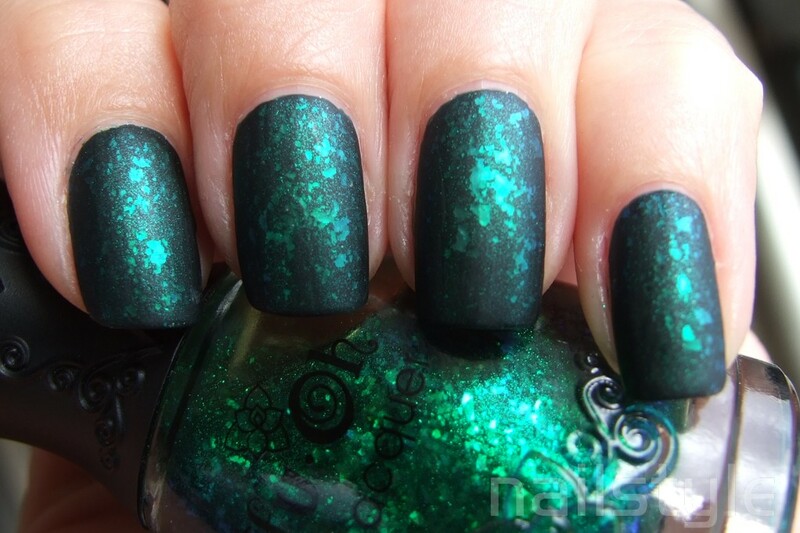 matte flakies look kind of strange but in the good terms of the word "stange"...very intriguing and mysterious! I've got to try this!